World of Pinot Noir comes to the Ritz-Carlton Bacara March 2-3. Photo courtesy MaxPixel.freegreatpicture.com. World of Pinot Noir comes to the Ritz-Carlton Bacara March 2-3. Photo courtesy World of Pinot Noir. Thursday, March 1 at 7 p.m. Kickoff the World of Pinot Noir with a wine-filled feast and fête, presented by The SOMM Journal. Meet participating winemakers, America’s leading sommeliers and preview the weekend while sampling wines, indulging in tasty bites prepared by The Ritz-Carlton Bacara’s Executive Chef, Umit Kaygusuz. It’s time to get this weekend-long Pinot party started. Joshua Greene, Editor of Wine & Spirits Magazine will lead a winemaker panel discussion and tasting that explores Oregon’s deep and growing ties to Burgundy, and the how this is influencing the current and future state of this exciting New World region. The wineries include Maison Joseph Drouhin, Domaine Drouhin Oregon, Domaine du Louis-Michel Liger-Belair, Chapter 24 Vineyards, Domaine des Comtes Lafon and Lingua Franca. The seminar includes a three-course Pinot Noir-paired lunch prepared by the Ritz-Carlton Bacara culinary team, with wine service by World of Pinot Noir Sommeliers.Friday, March 2, 9 a.m.–2 p.m. This three-course luncheon will showcase the award-winning wine made from grapes grown in the newly-minted Petaluma Gap AVA. Located in southern Sonoma and northern Marin counties, the cool-climate, windswept Petaluma Gap AVA boasts 4,000 acres of vineyards, of which, 75 percent are planted with Pinot Noir. Friday, March 2, 11:30 a.m.
Wine Enthusiast magazine’s contributing editor, and Central Coast expert, Matt Kettmann, will explore Pinot Noirs from the top cool-climate terroirs of the vast Central Coast. Along with a panel of acclaimed winemakers, Kettmann will guide the tasting of nine award-winning wines he scored 92 points or above. The wineries include Adelaida, Big Basin, Black Kite, Dierberg, Ken Brown Wines, Laetitia, Stephen Ross Wines and Talbott. Friday, March 2, 1 p.m. This exclusive VIP ticket provides you with early entry to the Ritz-Carlton Bacara’s Grand Ballroom, where you’ll be able to meet winemakers, be the first to bid on silent auction items, and taste through hundreds of Pinot Noir producers from around the world. Several other exclusive VIP experiences will be announced soon. Friday, March 2, 2:30-6 p.m. Taste through more than 150 Pinot Noir producers from around the world gathered in the Ritz-Carlton Bacara, Santa Barbara’s Grand Ballroom, bid on silent auction items and “taste the place” while you nibble on fresh, local and seasonal wine country appetizers from the Ritz-Carlton Bacara culinary team. Friday, March 2, 3:30-6 p.m. Chef Ken Tominaga, founder of PABU in San Francisco and Boston, and Hana Japanese Restaurant in Sonoma, crafts a multi-course umami-fueled feast designed to pair perfectly with the award-winning Pinot Noirs from Freeman Winery. This intimate, one-of-kind dinner experience is limited. Friday, March 2, 7 p.m. The Santa Maria AVA is home to some of America’s highest regarded Pinot Noir vineyards and producers. But this renowned sub-region of Santa Barbara is just as famous for its hearty and robust eponymously-named style of steak made from locally raised beef. Enjoy an elevated take on Santa Maria barbecue prepared by Ritz-Carlton Bacara Executive Chef, Umit Kaygusuz all paired with wines from the region’s most famous wineries. Friday, March 2, 7 p.m.
A collection of winemaking expertise gathers for this epic dinner featuring winemakers Greg Brewer of Brewer-Clifton, Adam Lee of Siduri, Wells Guthrie of Copain and Jonathan Nagy of Byron. Join us for an evening of food, laughter, and of course, fabulous Pinot Noir, as these trailblazing winemakers share their stories of their collective 101 years of crafting some of California’s most expressive Pinot Noirs along the Golden State’s historic coastal corridor. Friday, March 2, 7 p.m. Founder of the San Francisco Wine School and Master Sommelier David Glancy–along with a panel of Burgundy experts and winemakers–will lead a fun and educational tasting of some of the most notable producers and most acclaimed vintages from France’s famed Pinot Noir region, and will discuss the varying classification systems of Burgundy’s sub-regions, their history, trends and the changing roles of growers and negociants. This seminar will feature multiple vintages of premier cru wines from Domaine Faively, Domaine Henri Gouge and Domaine Chanson. The seminar includes a three-course Pinot Noir-paired lunch prepared by the Ritz-Carlton Bacara culinary team, with wine service by World of Pinot Noir Sommeliers. Saturday, March 3, 9 a.m.–2 p.m.
Held on the seaside bluff of the Angel Oak veranda, this daytime lawn party will feature over 35 of the best Pinot Noir Rosés on planet, a gourmet buffet lunch crafted by the Angel Oak Chef du Cuisine, and the unobstructed and downright jaw-dropping views of the Pacific Ocean. Saturday, March 3, 11 a.m. In this fun and educational winemaker-led seminar, you’ll learn–and taste–the difference between many key Pinot Noir grape clones. Panelists include: Greg Morthole – Davis Bynum, Heidi Bridenhagen – MacRostie Winery & Vineyards, Ben Papapietro – Papapietro Perry Winery, Amy Thorn – Thorn Hill Vineyards and Ben Cane – Westwood Estate Winery. Saturday, March 3, 1 p.m. This exclusive VIP ticket provides you with early entry to the Ritz-Carlton Bacara’s Grand Ballroom, where you’ll be able to meet winemakers, be the first to bid on silent auction items, and taste through hundreds of Pinot Noir producers from around the world. Several other exclusive VIP experiences will be announced soon. Saturday, March 3, 2:30–6 p.m. Taste through more than 100 Pinot Noir producers from around the world gathered in the Ritz-Carlton Bacara, Santa Barbara’s Grand Ballroom, bid on silent auction items and “taste the place” while you nibble on fresh, local and seasonal wine country appetizers from the Ritz-Carlton Bacara culinary team. Saturday, March 3, 3:30–6 p.m. This feast will showcase 12 wineries: Bouchaine Vineyards, Chenoweth Wines, La Crema, Lumen Wines, Meiomi, Merry Edwards Winery, Rideau Vineyards, Seagrape Wine Co & Buttonwood, St. Francis Winery, Stolo Family Vineyards, Trombetta Family Wines & Furthermore Wines, Wrath Wines and their trailblazing winemakers. Held in the downstairs Director’s Lounge and outside terrace, this multi-course feast will feature a gourmet whole-roasted pig crafted by Ritz-Carlton Bacara Executive Chef, Umit Kaygusuz. Saturday, March 3, 7 p.m. This five-course dinner will shine a spotlight on Oregon’s most famous region, the Willamette Valley, home to arguably some of the most food-friendly Pinot Noirs in the world. 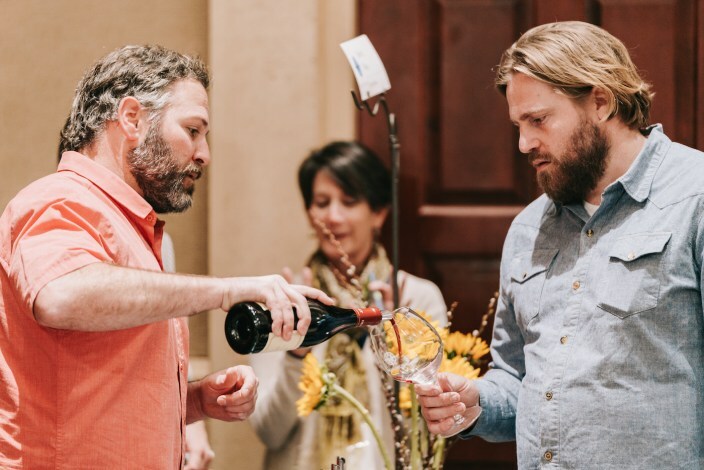 Emceed by Joshua Greene, the editor of Wine & Spirits Magazine, and Master of Wine Bree Boskov of the Oregon Wine Board, the evening will feature a long list of award-winning wines and their winemakers. Saturday, March 3, 7 p.m. The World of Pinot Noir is thrilled to present an extraordinary wine dinner hosted by the Guild of Sommeliers. Jay James, Master Sommelier, will present vintage Burgundy wines from the Guild’s extensive cellar in this six-course gourmand experience. This intimate, one-of-kind dinner experience is limited. Saturday, March 3, 7 p.m.
Hope to see some of you there! Click here for more cocktail corner columns. Originally published in Santa Barbara Seasons on February 16, 2018. Photos courtesy World of Pinot Noir. 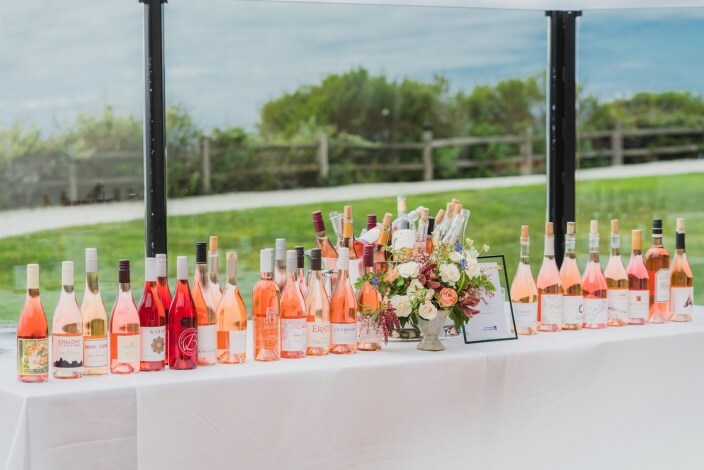 I get to go to a LOT of wine festivals and this event, which takes place March 3 – 4 at the Bacara Resort & Spa, is definitely one of my favorites. 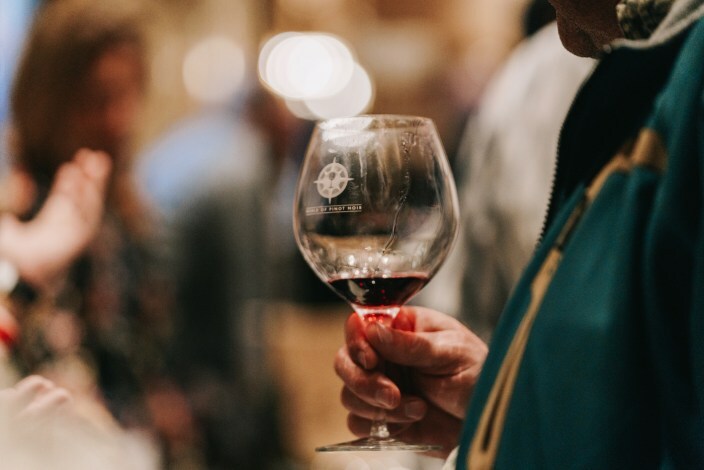 There are two days of tastings, seminars and dinners where guests can taste wines from more than 200 wineries —all Pinot Noirs—from areas including Burgundy, Mendocino, Monterey, New Zealand, Oregon, Santa Barbara, Santa Cruz, San Luis Obispo and Sonoma. It’s the ultimate tasting experience! Right now there’s even a special holiday gift offer available until January 3. Enter code “Pink” to receive a discount on the Rosé Lunch and Grand Tasting on Friday, March 3. Enjoy a selection of Pinot Noir Rosé wines with lunch prepared by Bacara’s culinary team in the new Angel Oak restaurant, then continue your journey of Pinot Noir at the Grand Tasting. Also on special for the holidays is the Sparkling Brunch and Grand Tasting on Saturday, March 4. Kick off your day with bubbles! A selection of sparkling wine and Champagnes will be featured with brunch prepared by Bacara’s culinary team in the new Angel Oak restaurant. Then continue on to the Grand Tasting. Enter code “Bubbles” to receive your special discount. Additional highlights include: Hirsch Seminar and Tasting; Kosta Browne 20th Anniversary Dinner; Louis Latour Tasting & Dinner; Edna Valley Winery Collective Dinner; Cheese Seminar featuring Sonoma Wines; Vintage Burgundy Dinner with the Guild of Sommeliers; Rock Stars of Pinot Noir featuring Merry Edwards and the Hitching Post Vertical Tasting & Barbecue; as well as the Grand Tasting on both Friday and Saturday. Click here for the entire lineup of events or visit worldofpinotnoir.com for more information. Hope to see you there! Click here for more cocktail corner columns. Originally published in Santa Barbara Seasons on December 16, 2016. 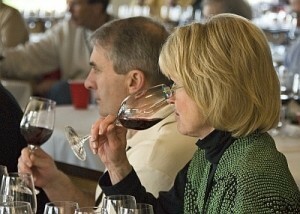 The sixteenth annual World of Pinot Noir is taking place for the third time locally, March 4-5 at Bacara Resort & Spa. This indescribably fun weekend brings pinot noir producers and pinot noir enthusiasts together for an impressive line-up of educational, culinary and tasting events highlighting a veritable buffet of pinot noirs from California, Oregon, Burgundy, Champagne, New Zealand and Tasmania. The World of Pinot Noir Friday Focus Tasting showcases 100 Pinot producers pouring a vineyard designate and library wine selection. The Saturday Grand Tasting features a different lineup of wineries and expands to 125 brands. Both tastings feature wine country appetizers from Bacara Executive Chef Vincent Lesage. The winning films from the inaugural International Wine Film Festival will be shown on the big screen in the resort’s state of the art theatre. Somm: Into the Bottle will be screened on Saturday afternoon. Trust me, this is a weekend pinot noir lovers won’t want to miss. And if you need any more incentive, a portion of the funds from the World of Pinot Noir silent auction benefit the Michael Bonaccorsi Foundation with Allan Hancock College and the Keith Patterson Memorial Endowment at Cal Poly University. All events take place at the Bacara Resort & Spa, 8301 Hollister Ave. For additional information or to purchase tickets visit worldofpinotnoir.com. Originally published in Santa Barbara Seasons Magazine on February 26. 2016. Shell Beach’s loss is Santa Barbara gain. After 13 years of hosting the annual World of Pinot Noir, the two-day event moves to Santa Barbara this weekend (February 28-March 1), specifically to the luxurious, oceanfront Bacara Resort and Spa. The mission is “to bring Pinot Noir producers from the most exceptional and unique regions in the world together with Pinot Noir enthusiasts for a weekend of celebration and education at the edge of California’s beautiful Central Coast.” For a complete look at the impressive list of participants click here. Friday’s highlights include a seminar titled “Burgundy & Oregon: Parallels in Latitudes” where wine writer Katherine Cole shines a spotlight on the fact that though 4,000 miles apart, Burgundy and Oregon share a latitude and are both stellar Pinot Noir producing regions. As part of the seminar, guests will be treated to a three-course gourmet lunch in Restaurant Miró prepared by executive chef David Reardon and chef de cuisine Johan Denizot, created specifically to pair with the wines of the 45th parallel. Now that’s my kind of professional development day! 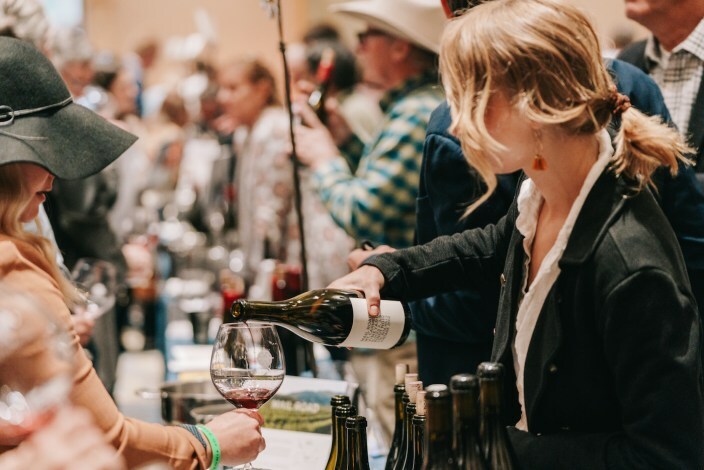 Later that afternoon is the Friday Grand Tasting, featuring Pinot Noir from more than 100 producers, as well as a silent auction, screenings of wine-themed movies Somm and Sideways (with wine of course) and special winemaker dinners that evening. Saturday’s seminar spotlights The Insider Wines of the Cote d’Or, where Don Kinnan CSS, CWE tells all about the secret wines, small producers, and boutique producers of the Cote d’Or. The session also includes a detailed discussion of the mountain of Corton, location of the Cote d’Or’s greatest expanse of Grand Cru vineyard acreage. In addition to Corton and Corton-Charlemagne, wines will be tasted from Marsannay, Fixin, Pernand-Vergelesses, Savigny-Les-Beaune, Monthelie, Auxey-Duresses, Chassagne-Montrachet and Santenay. A short history of viticulture and principal vineyards in each village will be presented. During the presentation, 12 wines, selected to represent their villages best “terroirs” will be tasted. Following the seminar, guests will enjoy a Burgundy-inspired three-course luncheon created by Bacara’s culinary team in the Miró Restaurant. 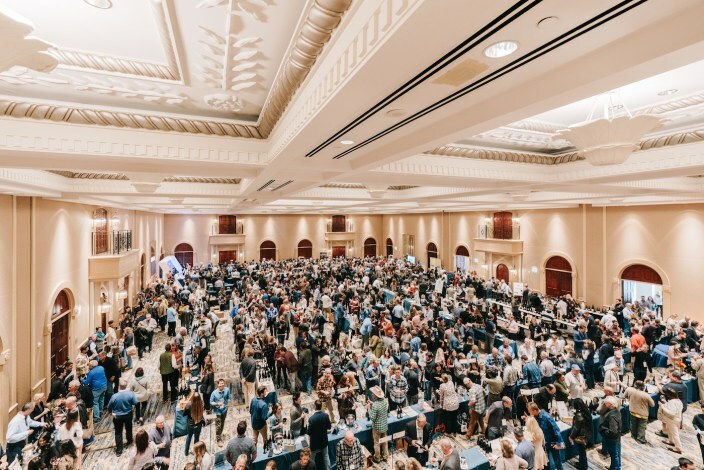 That afternoon is a second Grand Tasting, featuring a different roster of wineries from California and even more wines from our international and regional participants—more than 120 producers of this alluring wine. If you’ve still got a taste for the grape, the Saturday Grand Tasting is followed by an evening gala, with a seasonal and fresh plated amuse bouche as the featured winemakers and the team of sommeliers introduce themselves. Eat, Drink, Enjoy! Originally published in Santa Barbara SEASONS on February 28, 2014.